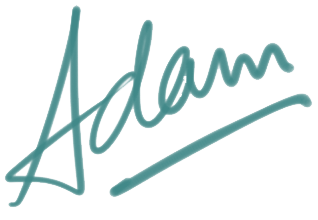 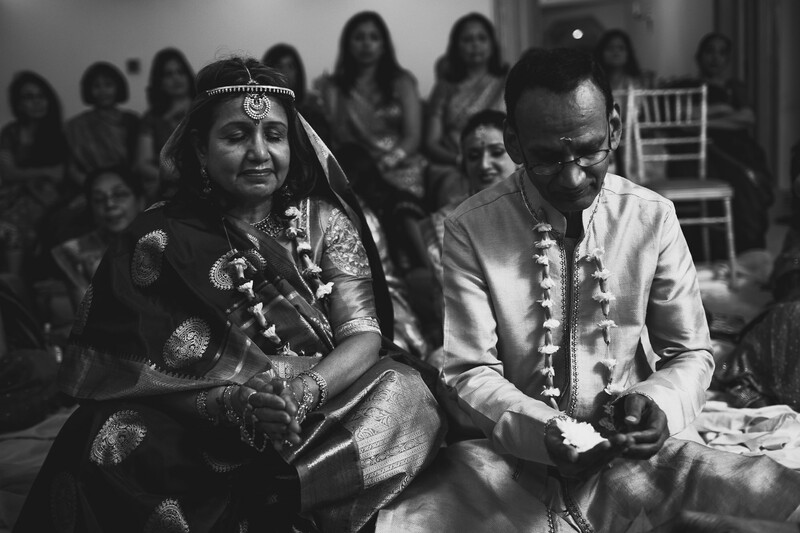 I’m heading down to London tomorrow for Davina and Rajiv’s wedding at the amazing Landmark Hotel on Saturday. 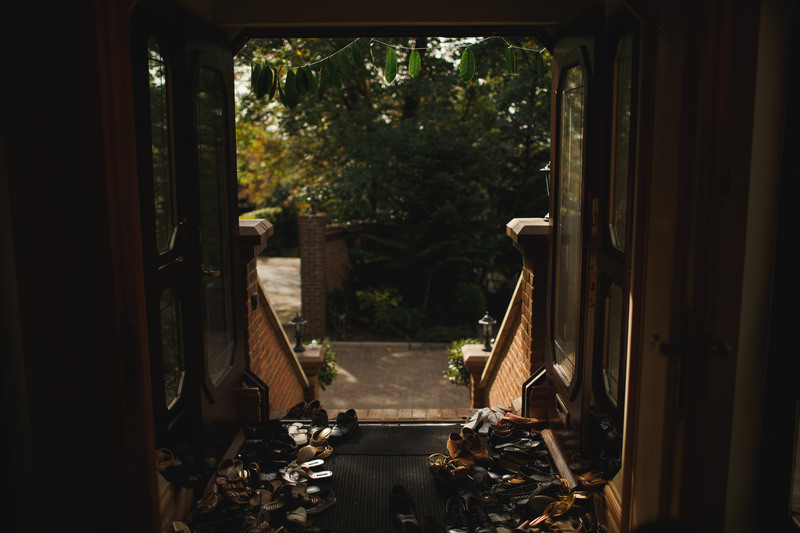 I really can’t wait. 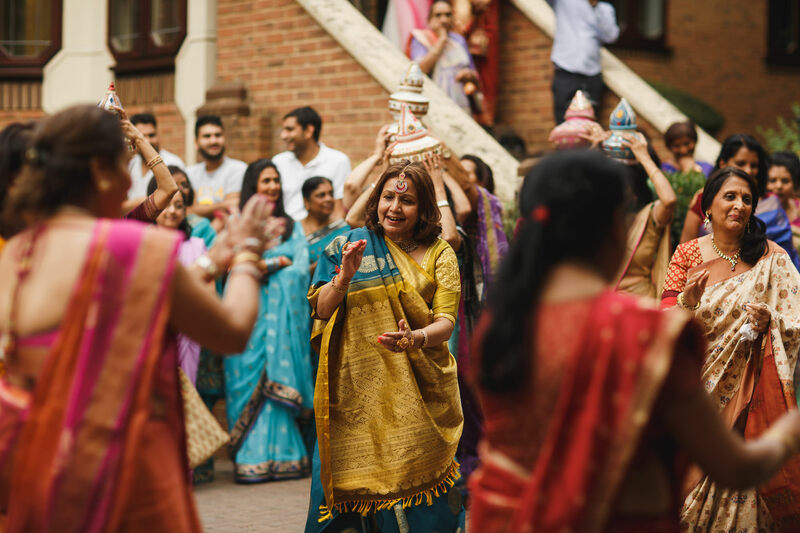 I don’t get to photograph that many Indian weddings but when I do get the chance I absolutely love it – so much action, so much colour and often a lot of emotion too. 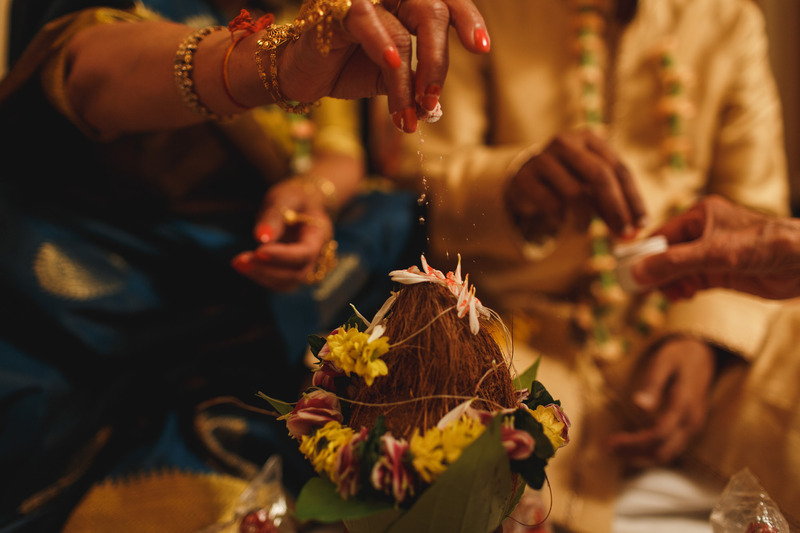 A perfect concoction. 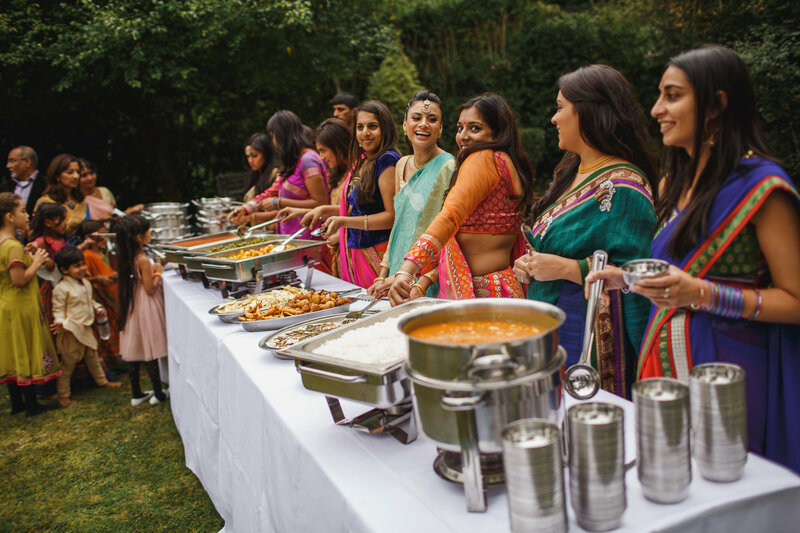 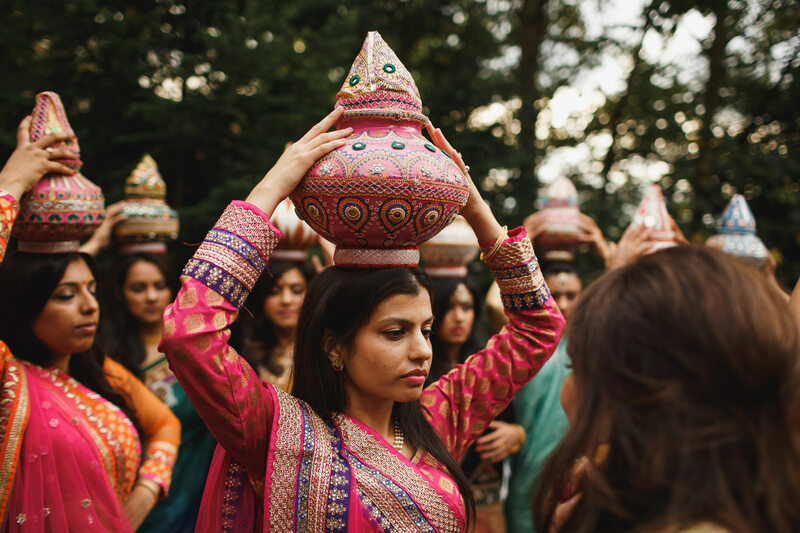 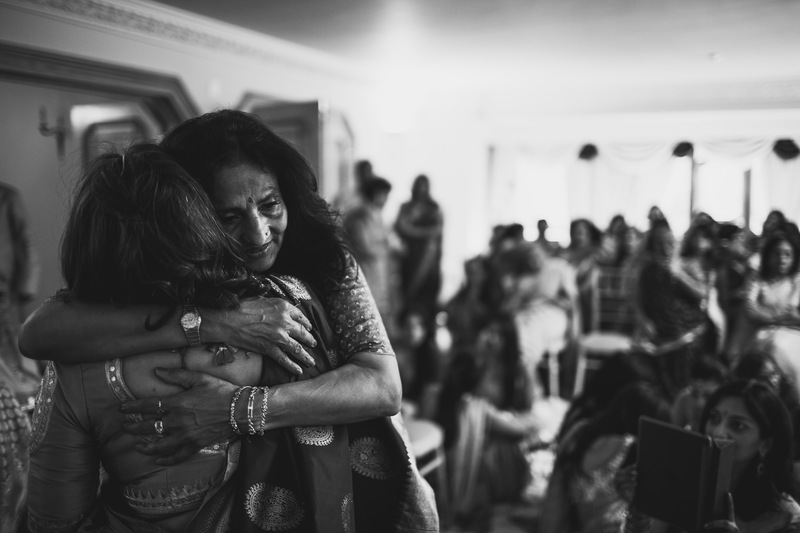 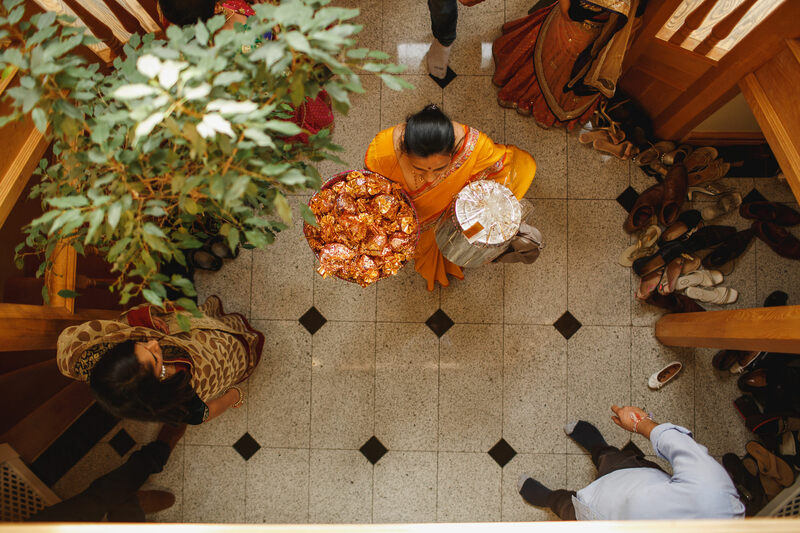 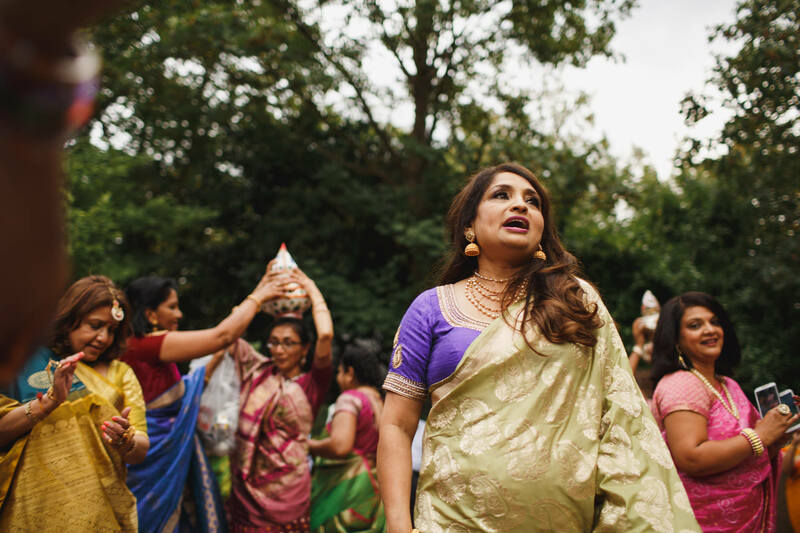 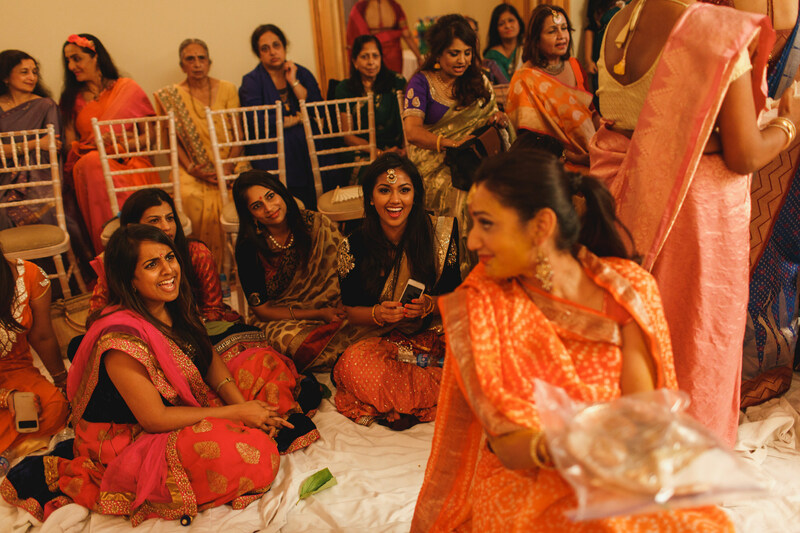 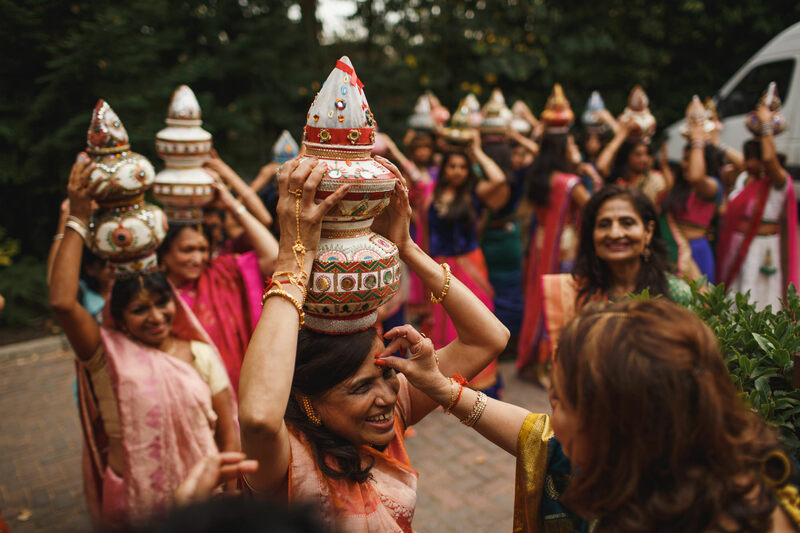 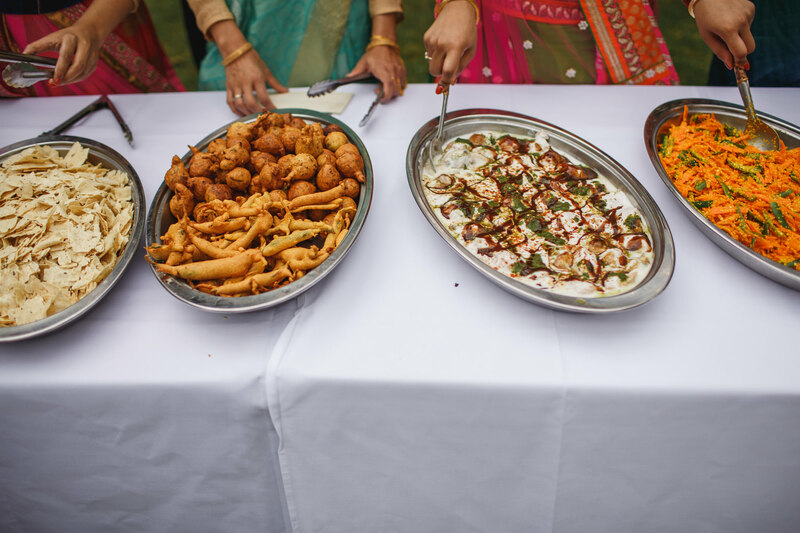 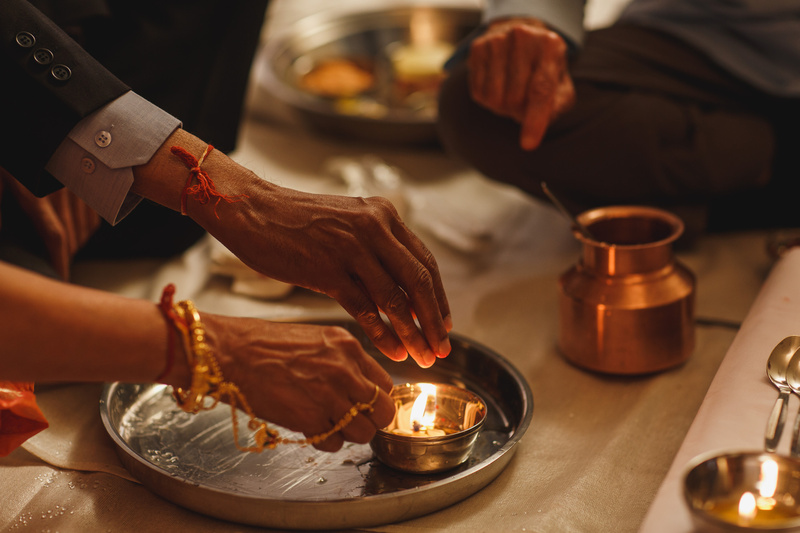 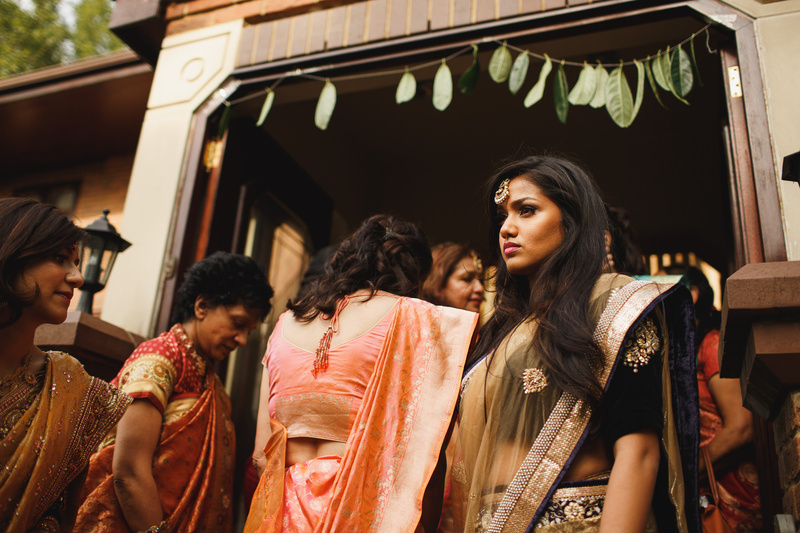 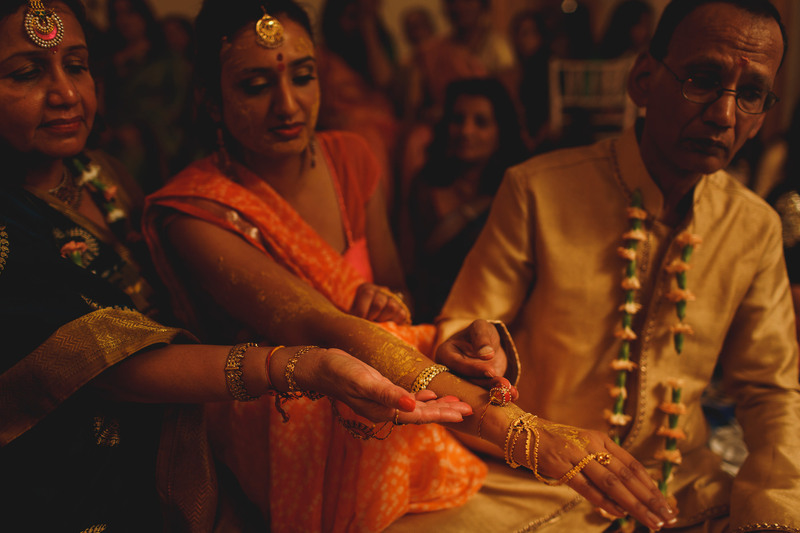 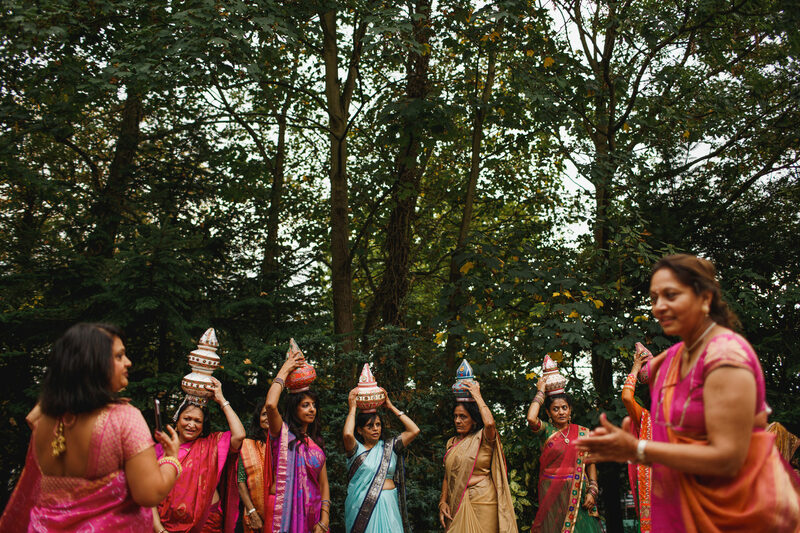 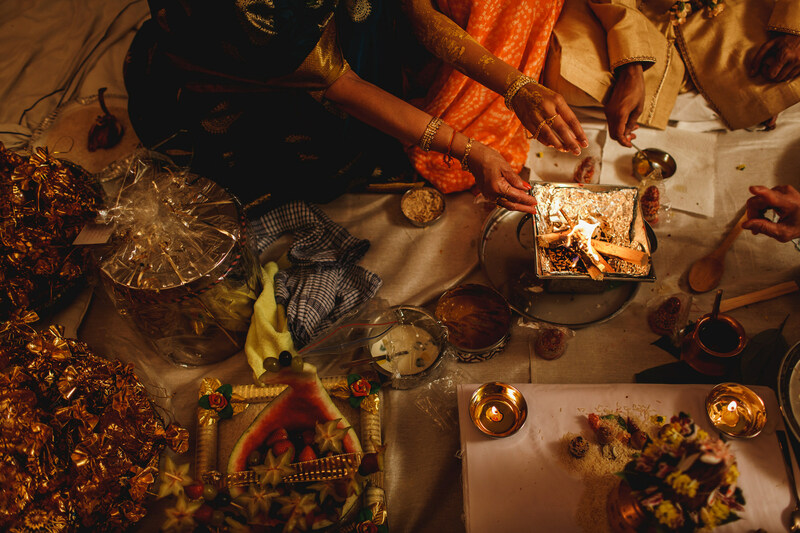 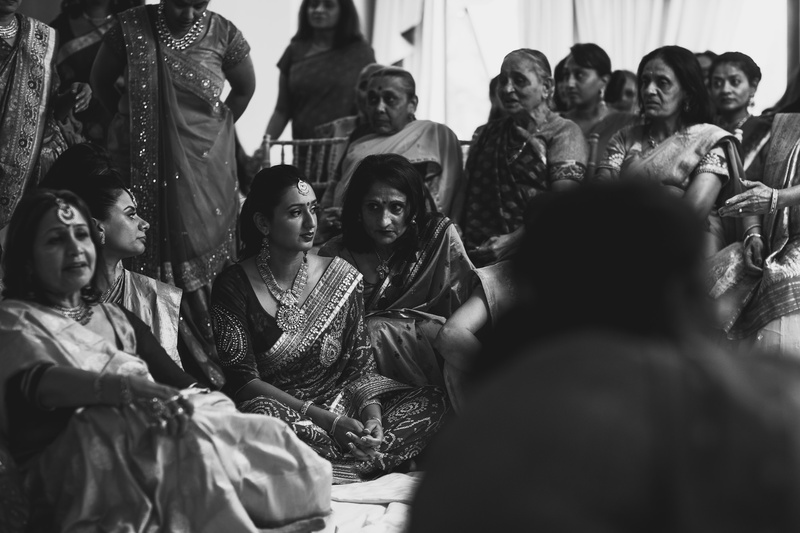 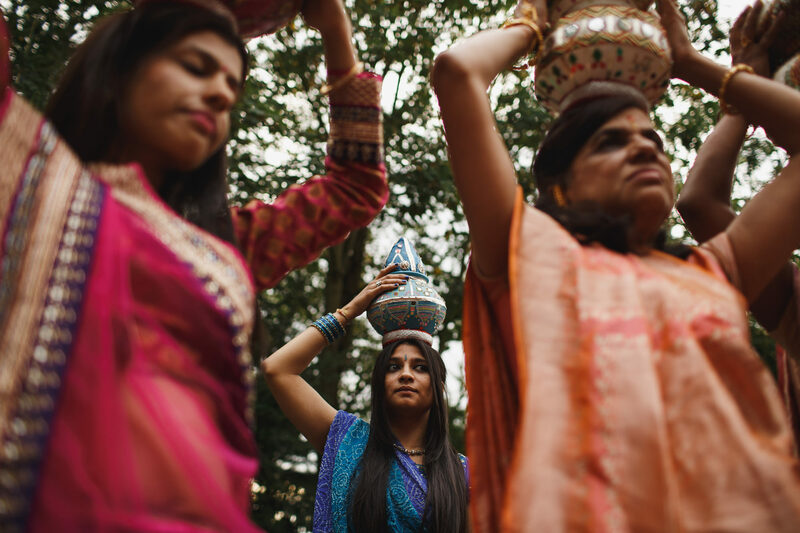 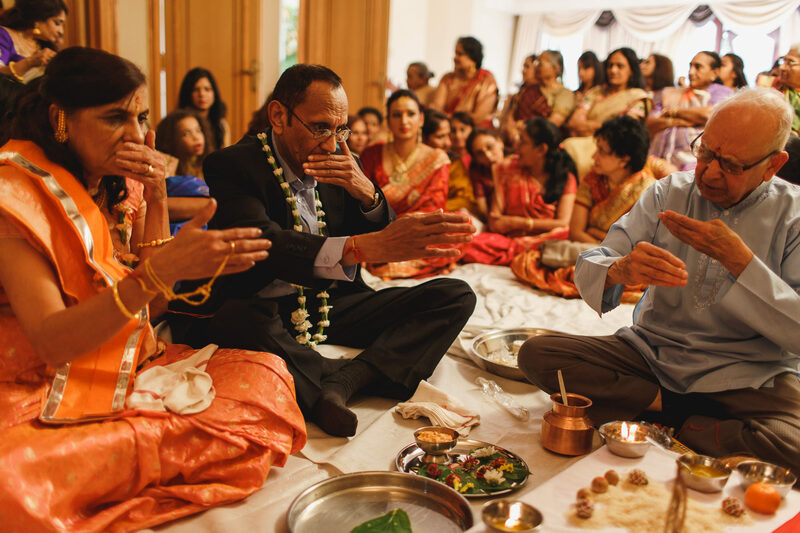 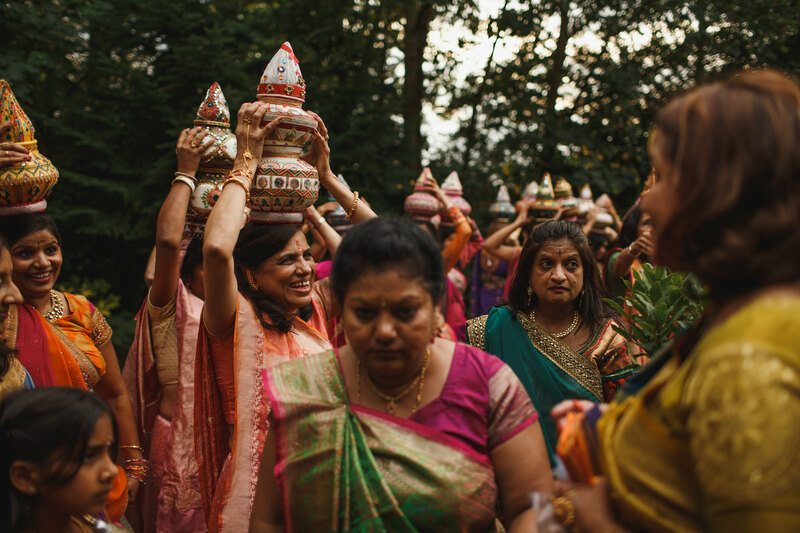 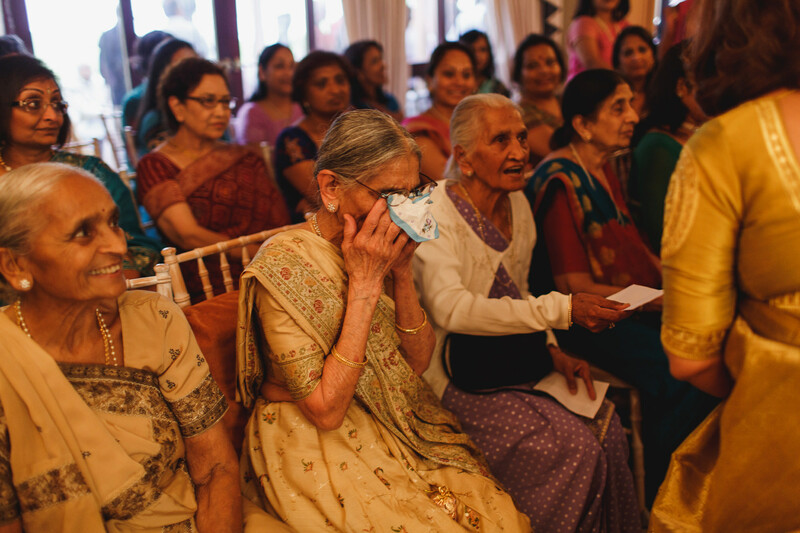 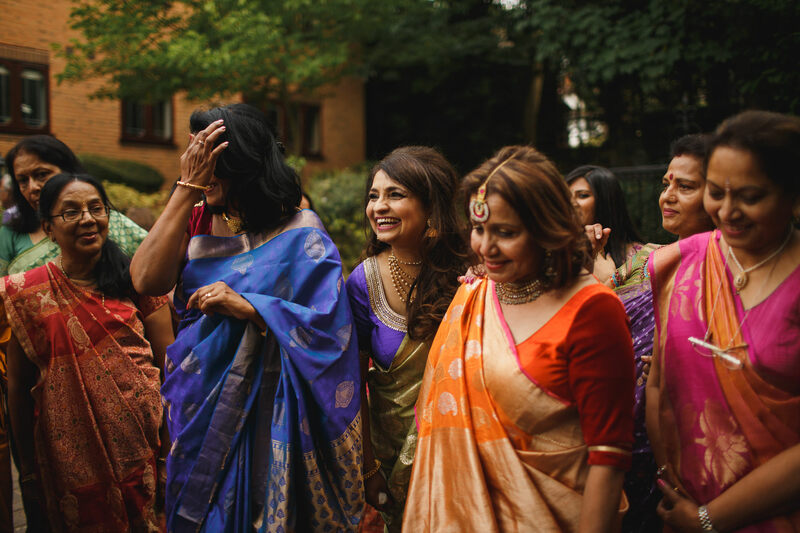 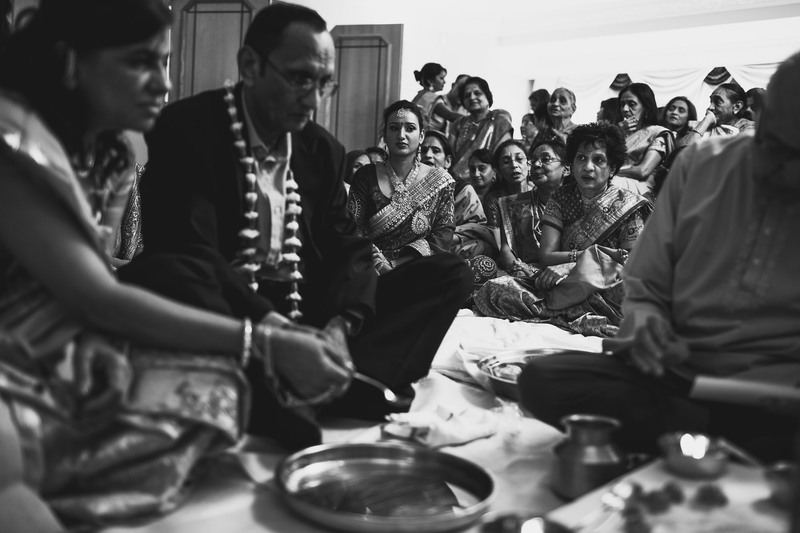 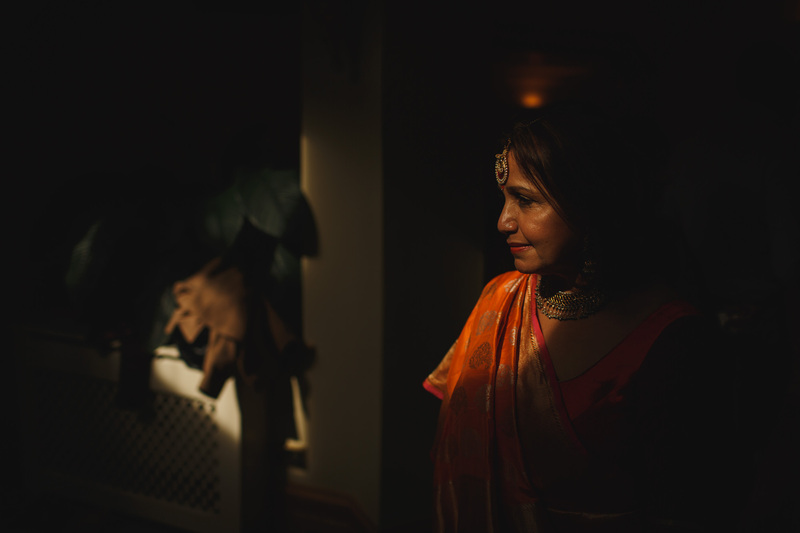 A couple of weeks ago Davina invited me down to her family home in North London for her pre-wedding Vidhi ceremony. 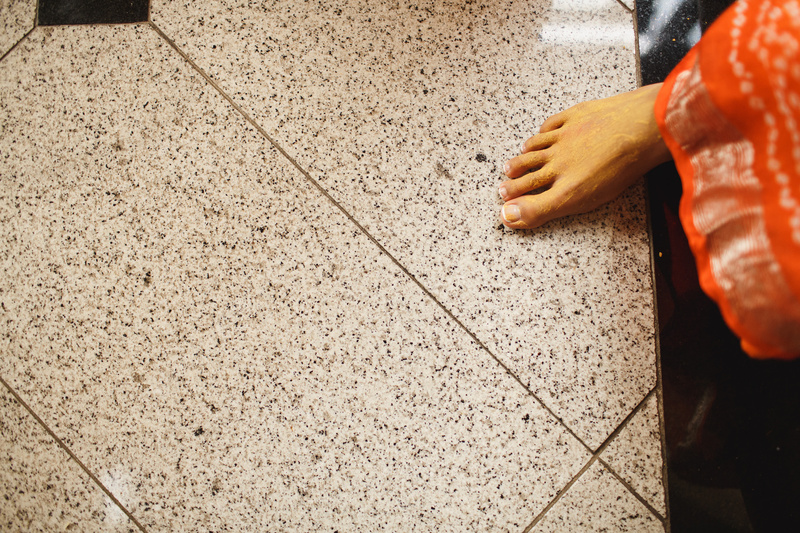 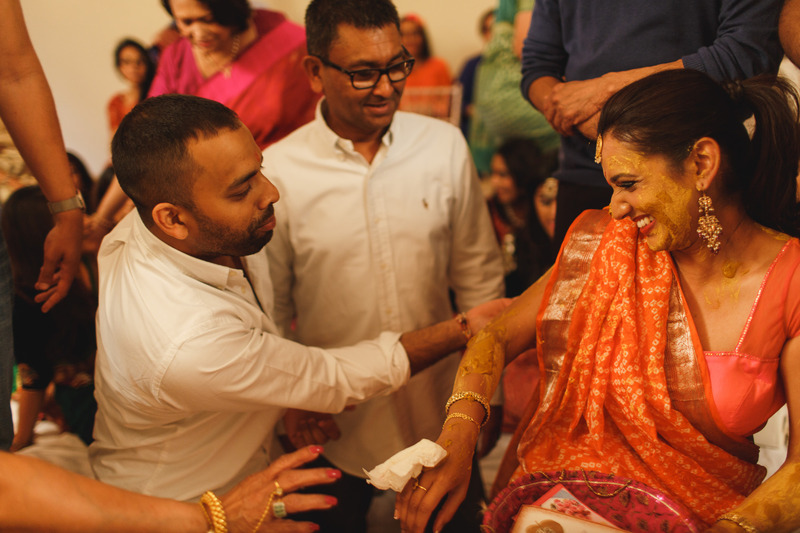 Even though I did a little research beforehand I didn’t know what to expect, apart from that Davina would have a yellow paste rubbed onto her face, arms and feet by members of her family, which I expected to be a lot of fun to capture and it certainly was. 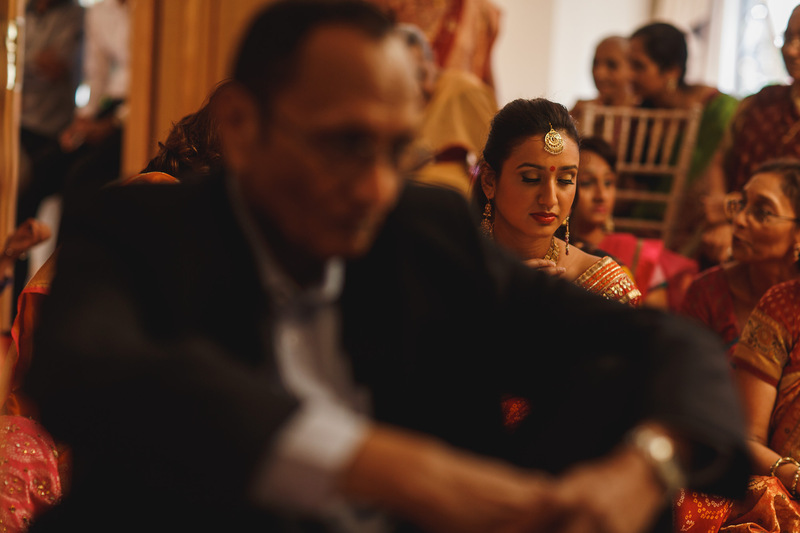 But there was much more to the ceremony overall than I expected and I was worn out by the end of it! 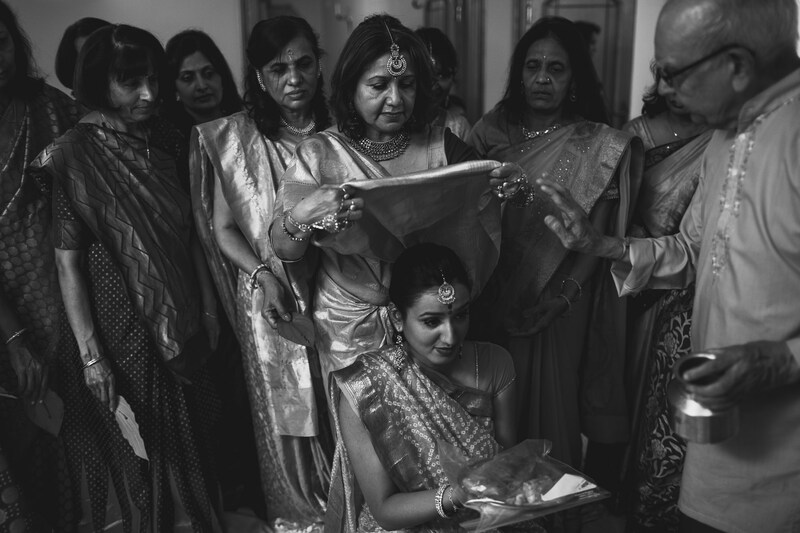 I quickly realised the importance and meaning of this ceremony to Davina and her family when tears were shed not long after the start. 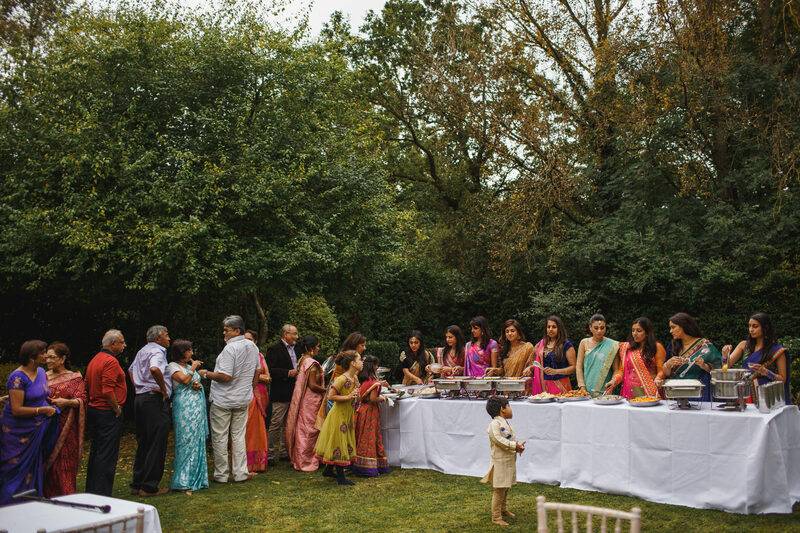 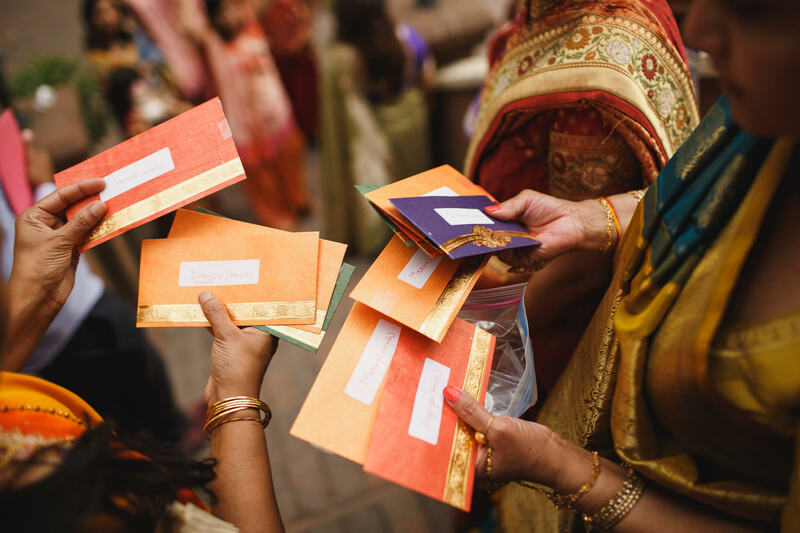 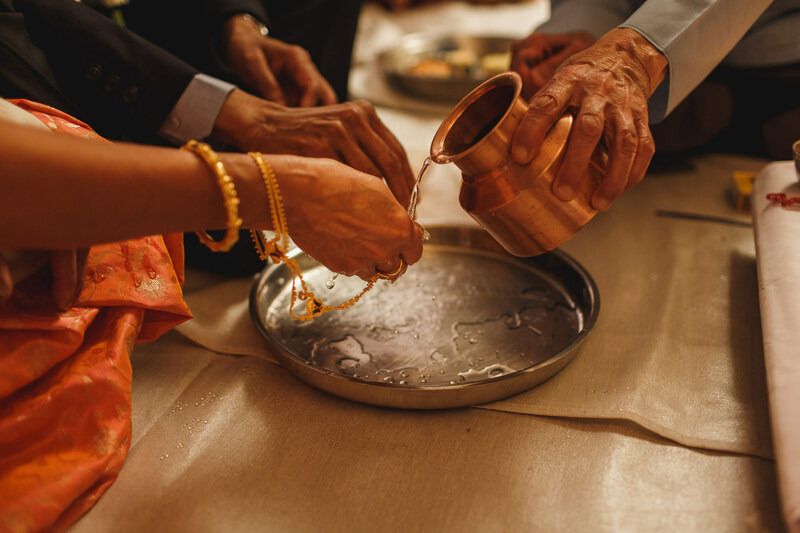 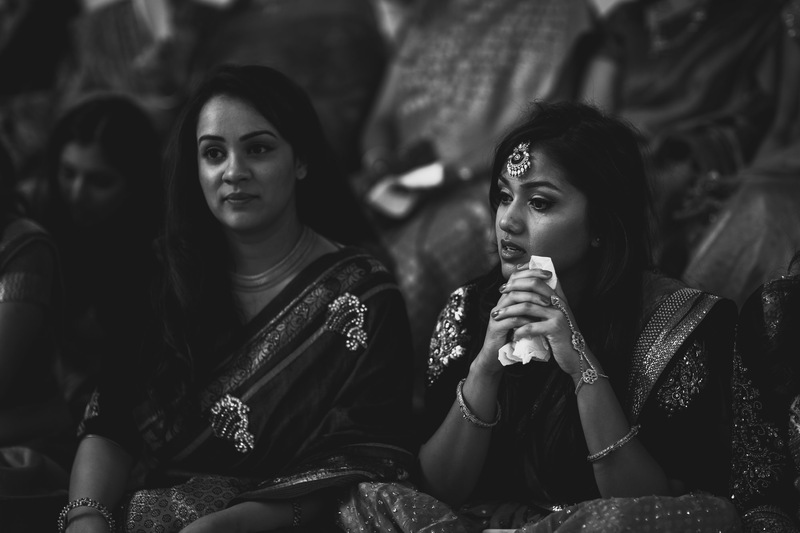 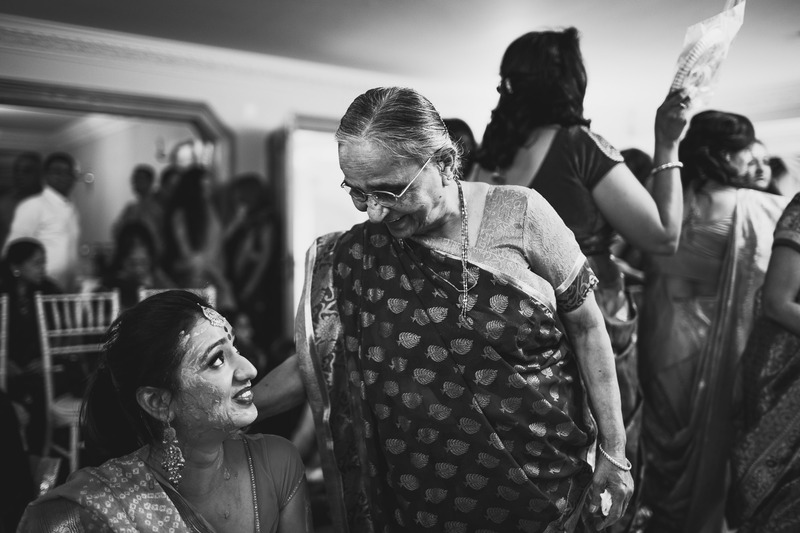 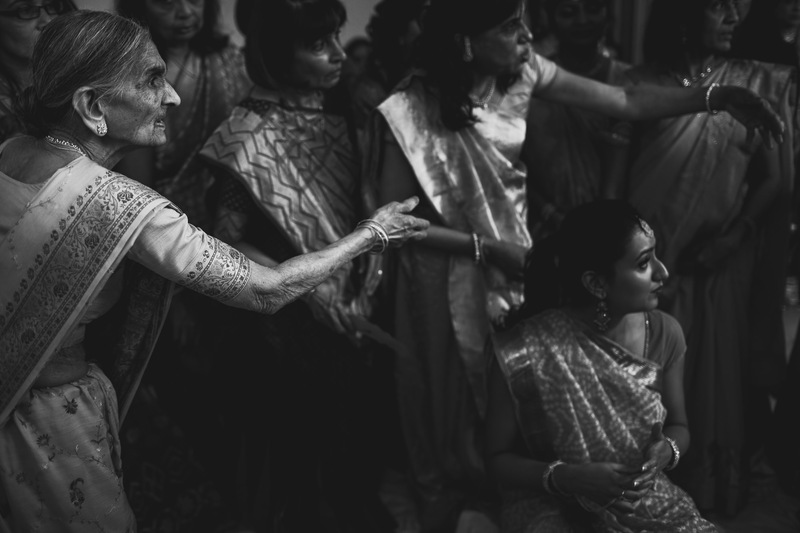 One of my favourite things about being part of Indian weddings has been to understand the culture of not only the weddings themselves, but of the families behind them. 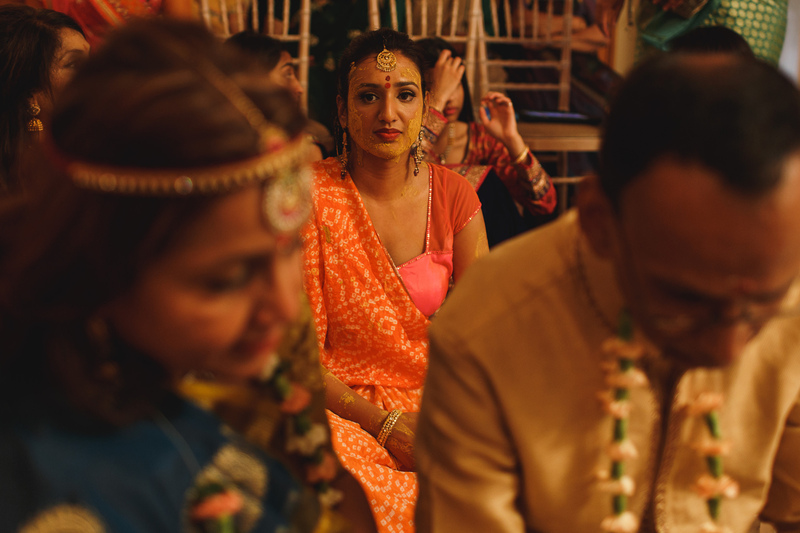 This one was no different. 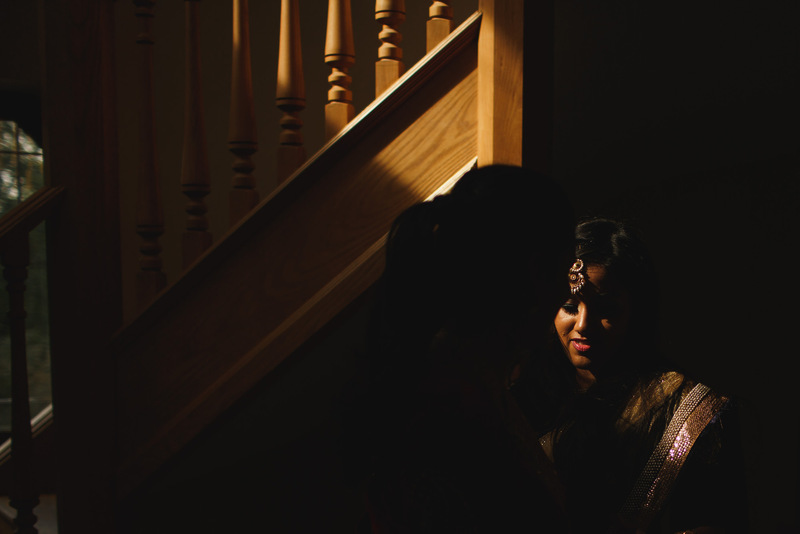 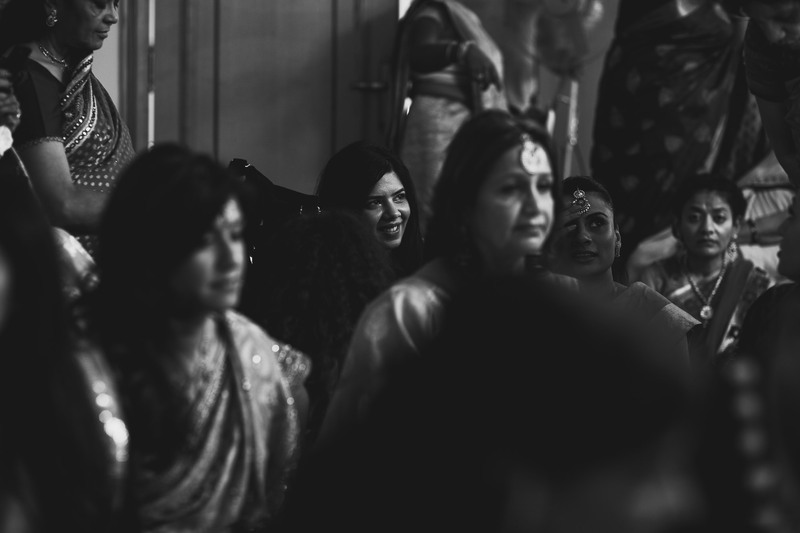 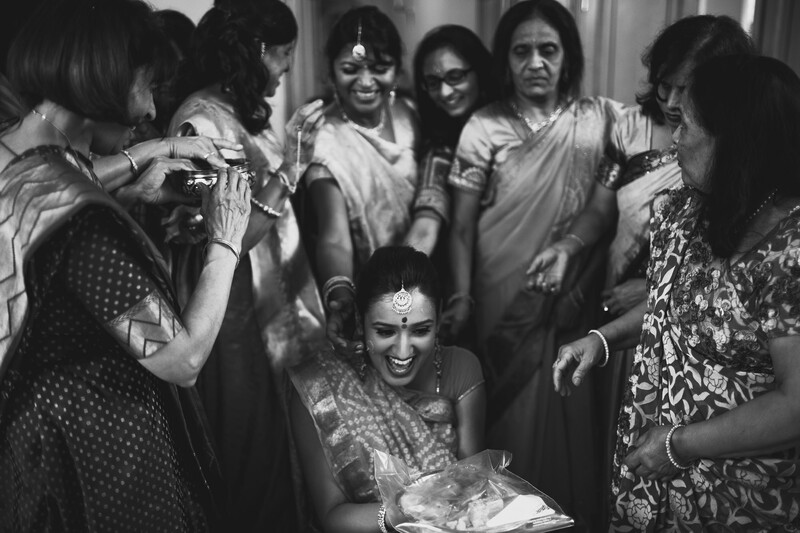 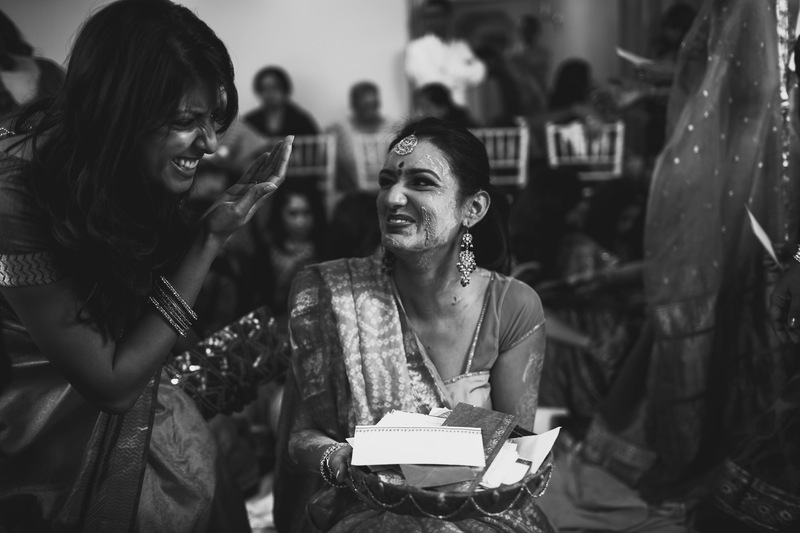 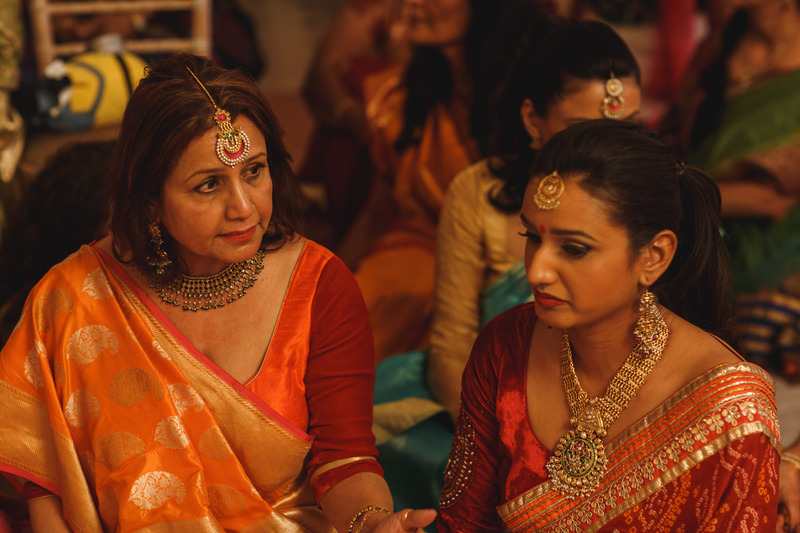 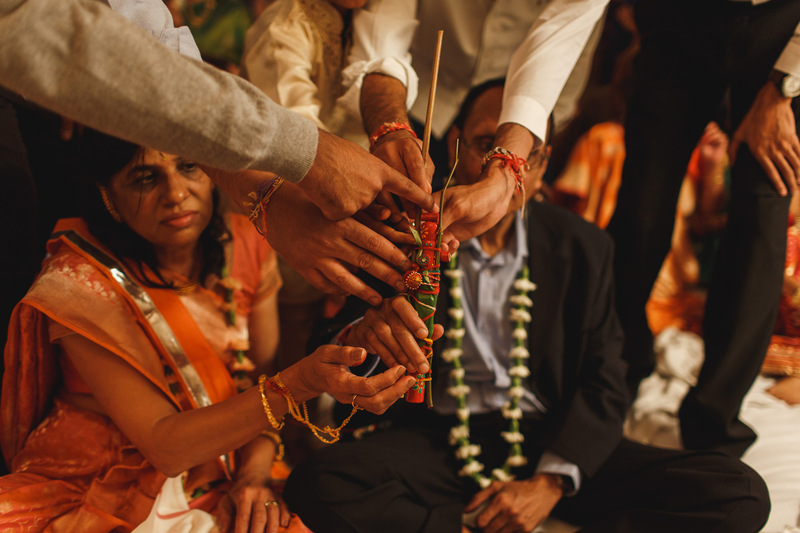 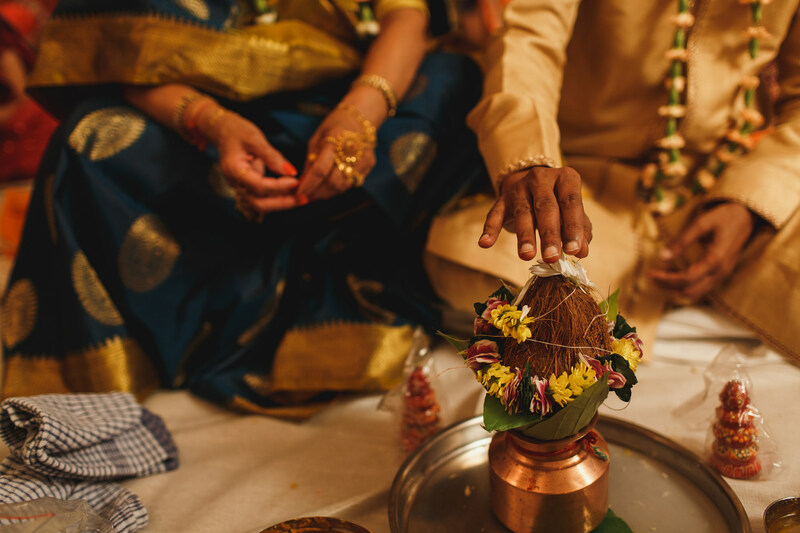 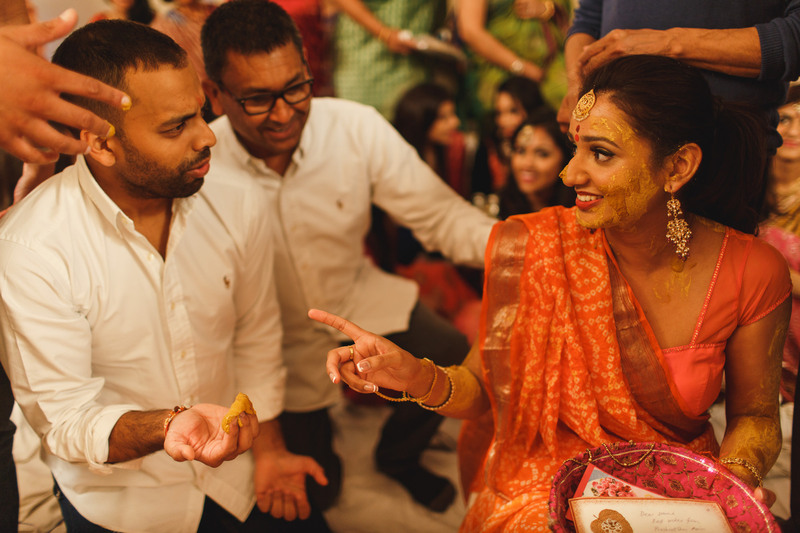 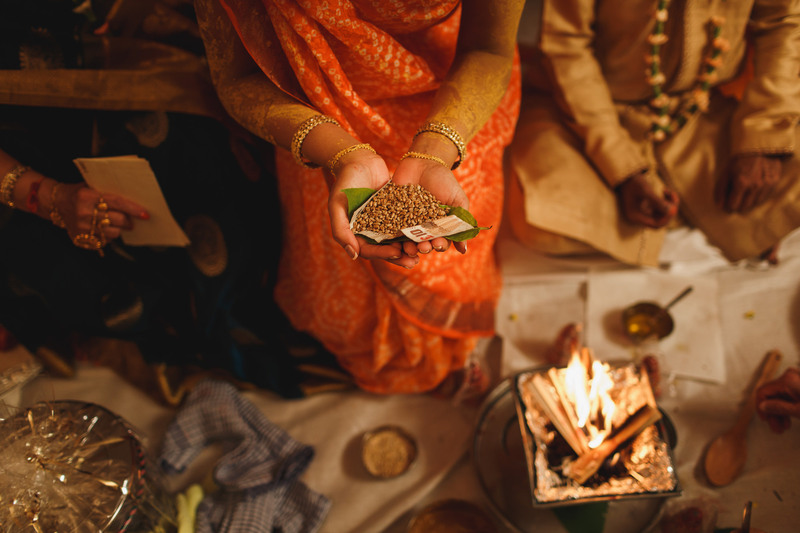 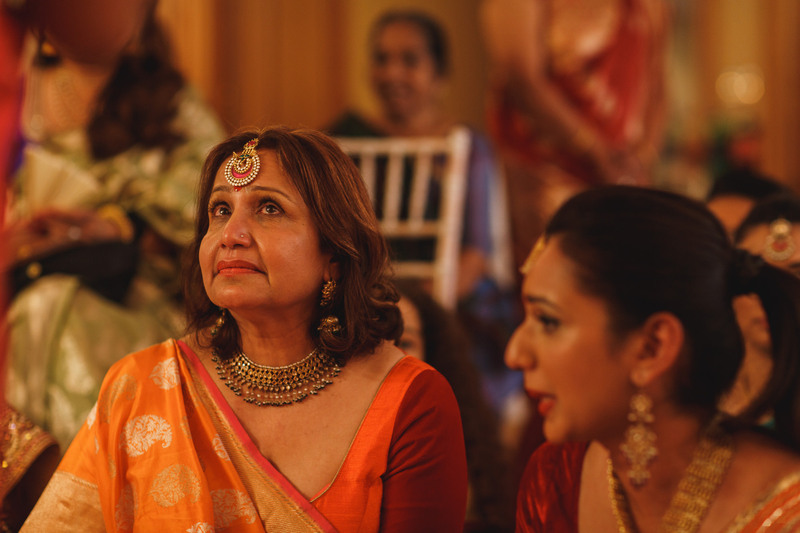 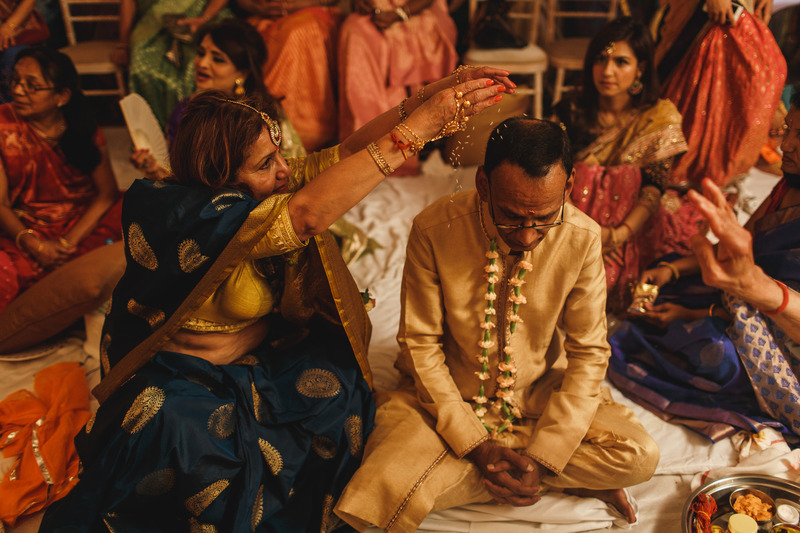 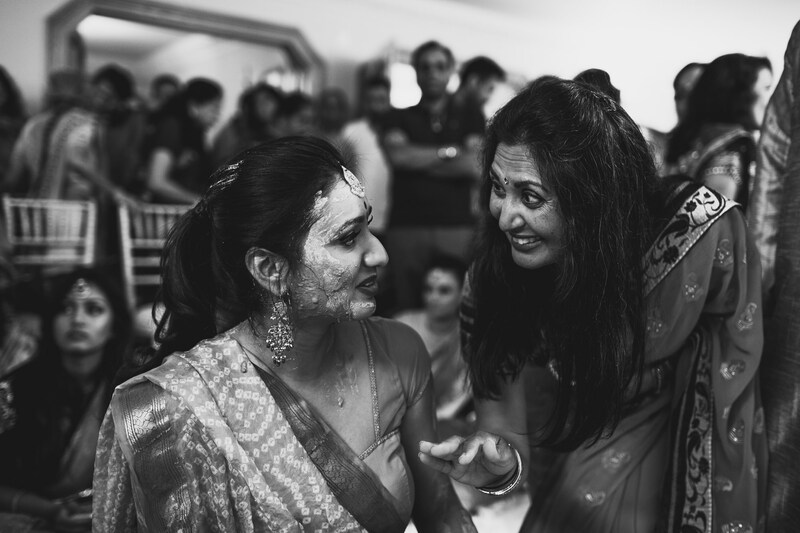 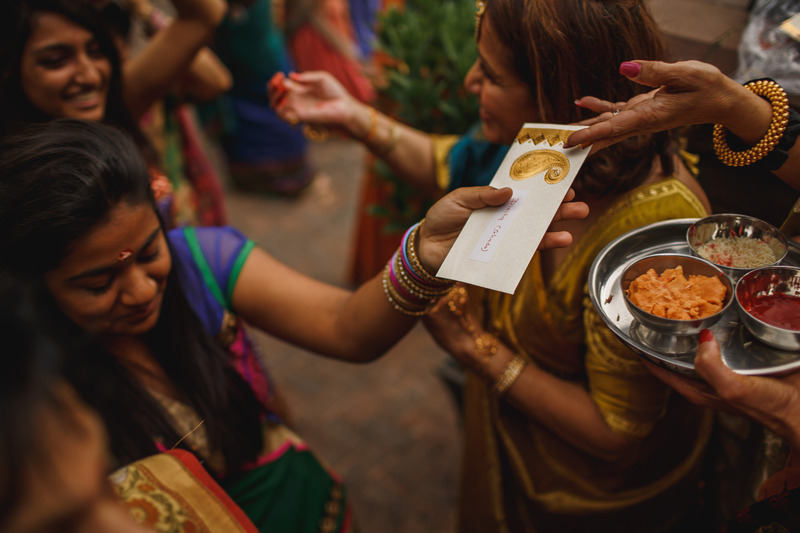 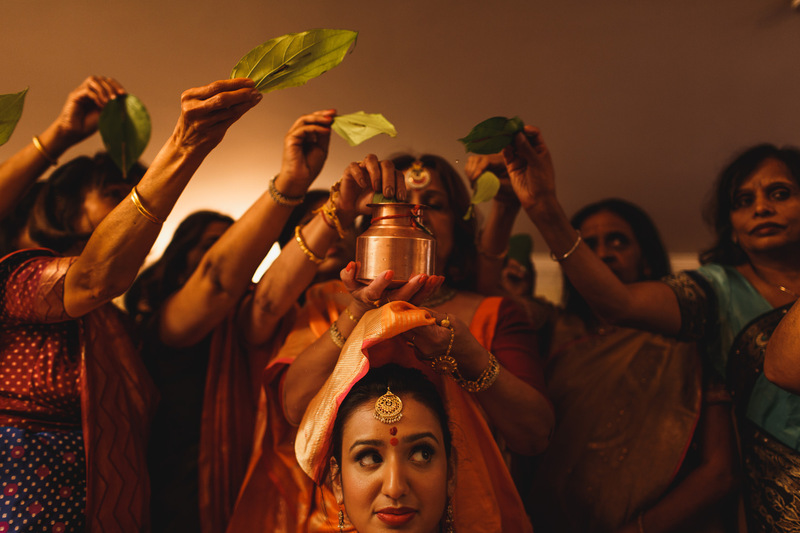 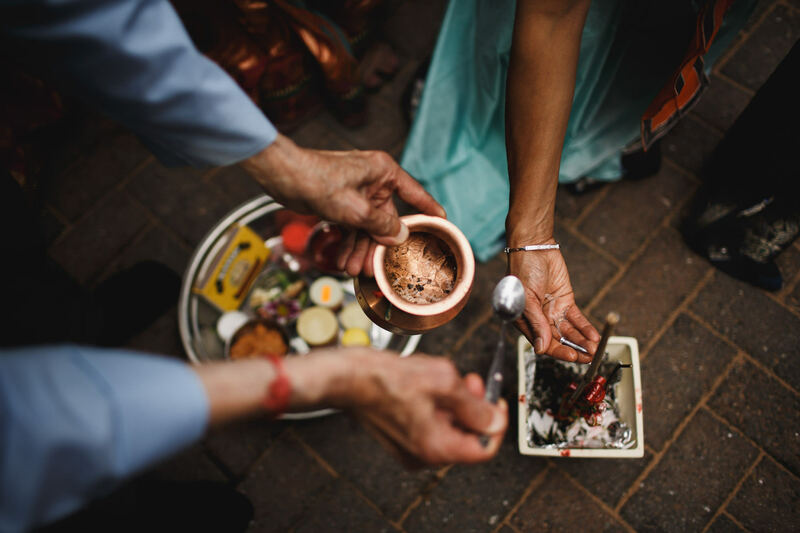 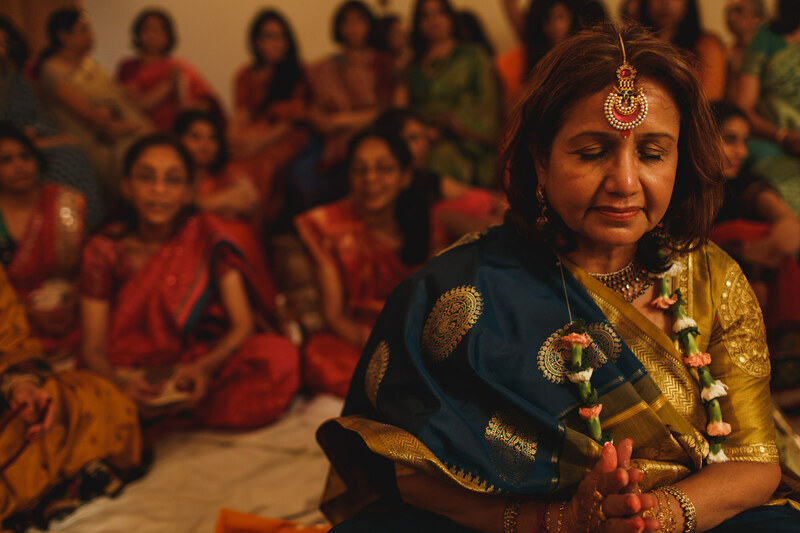 Here are some of my favourite photos from Davina’s Vidhi ceremony – I can’t wait for the wedding day this Saturday! 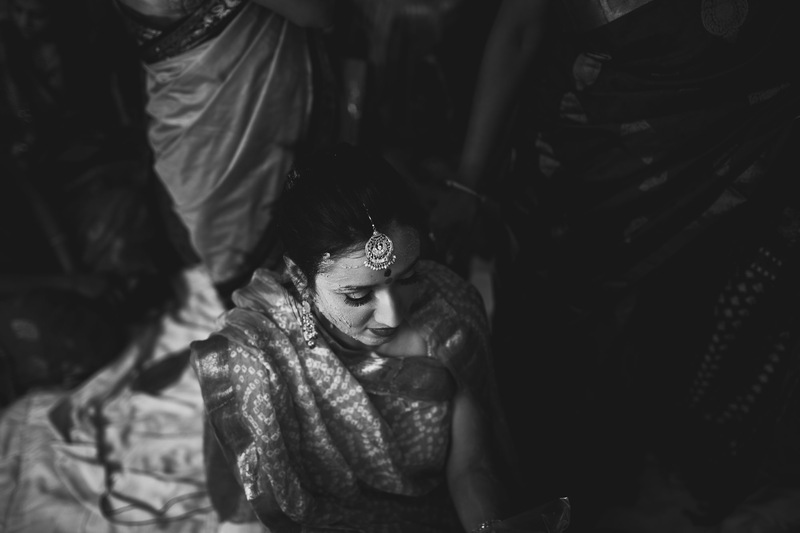 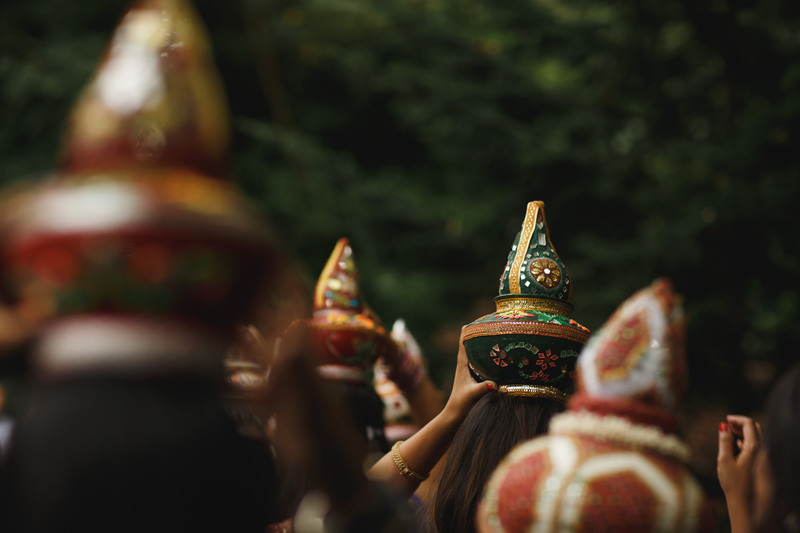 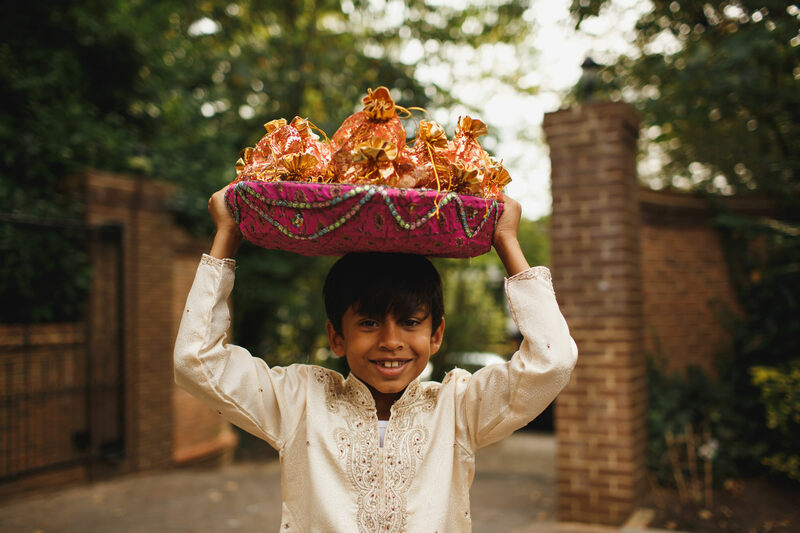 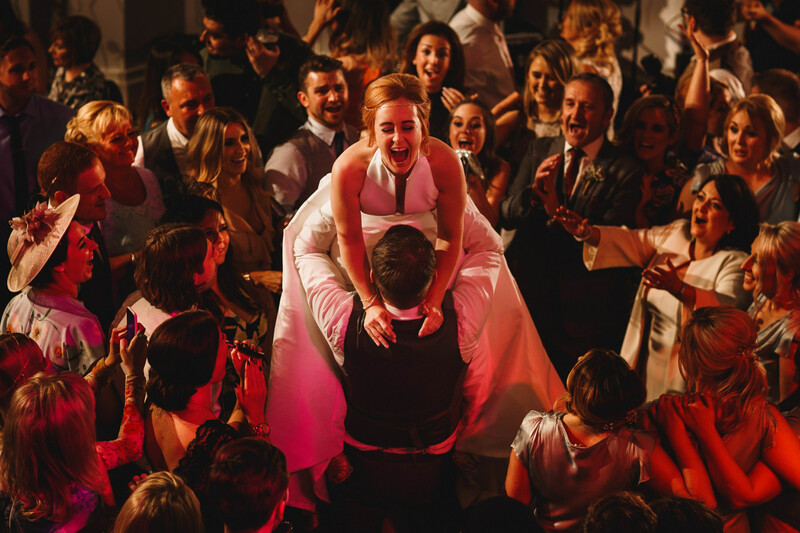 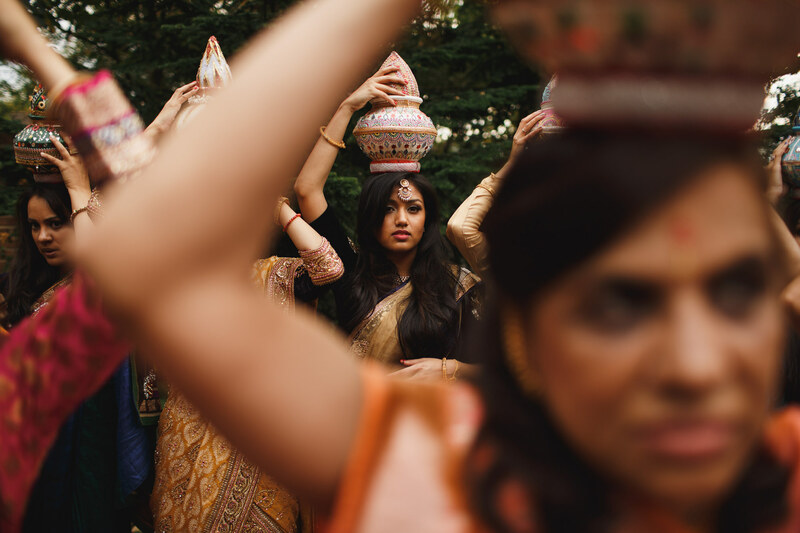 I’m not a traditional Indian wedding photographer but if you like the way I see and capture weddings, I’d love to hear from you so please drop me a line! 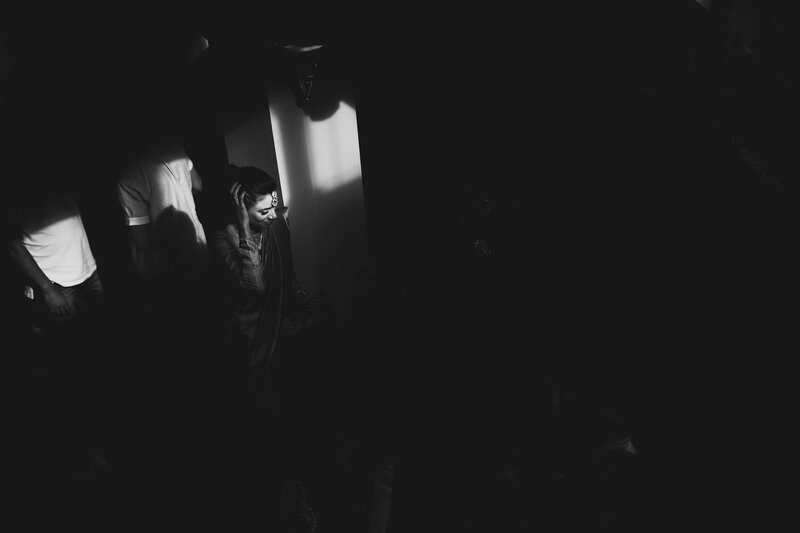 < Heidi + Matt. 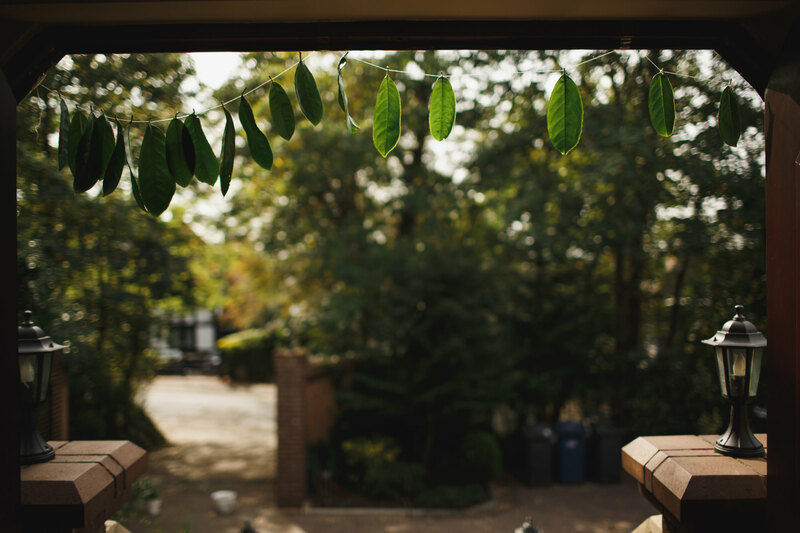 Sandhole Oak Barn. 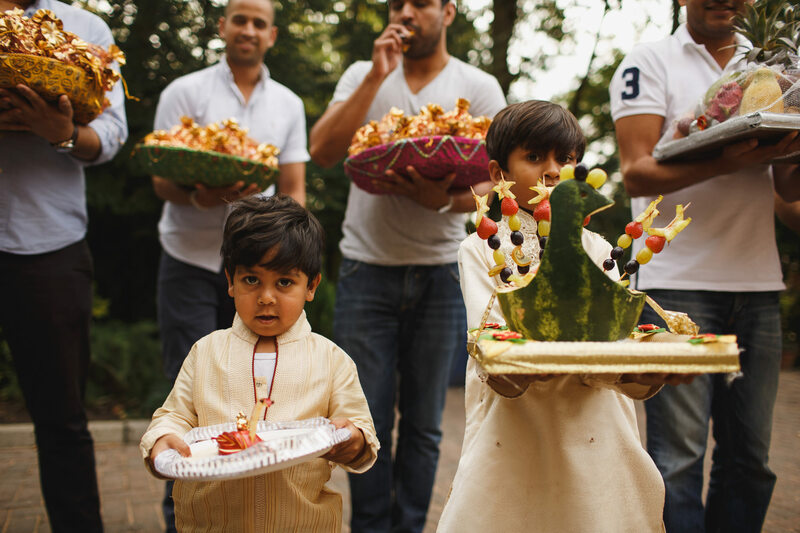 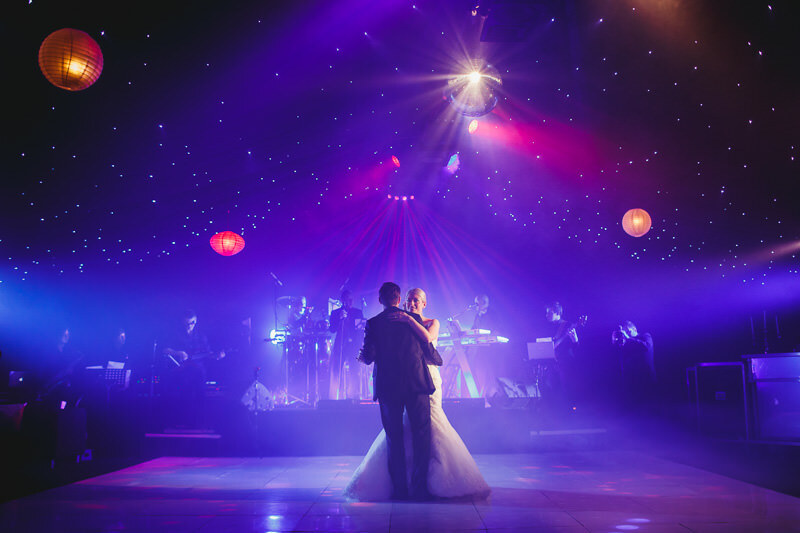 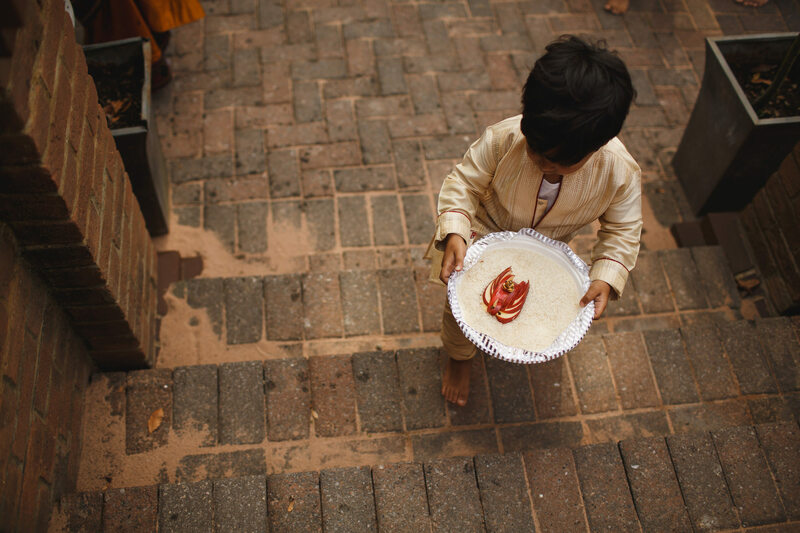 Sublime squire, creative story telling photography at its very best. 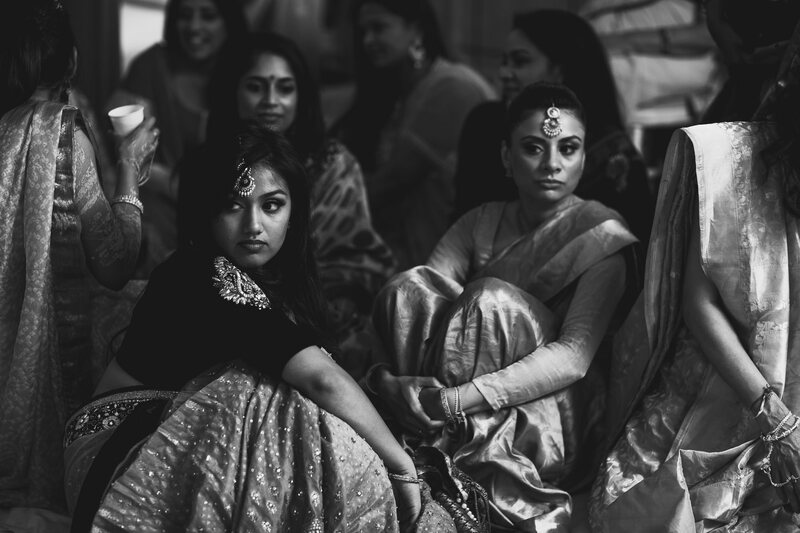 Meera + Meeraj. 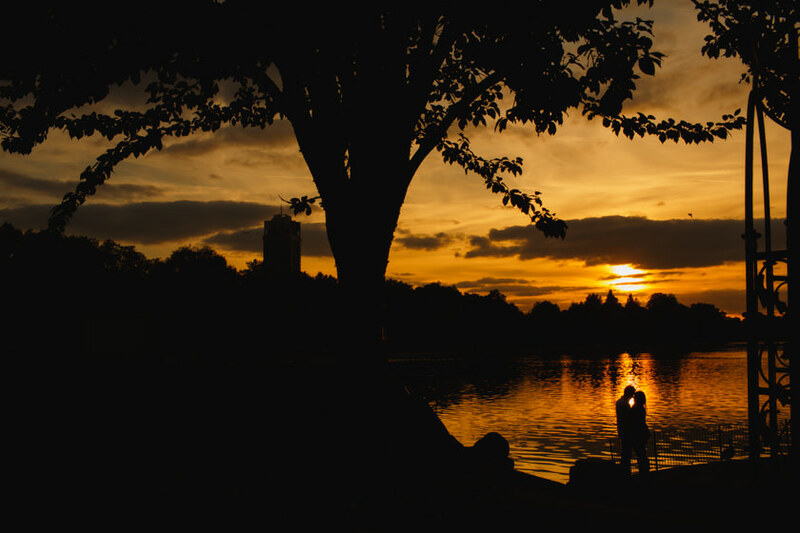 London Prewedding.